and experience needed to drive results. Ryan has been creating meaningful experiences through design for over 18 years. 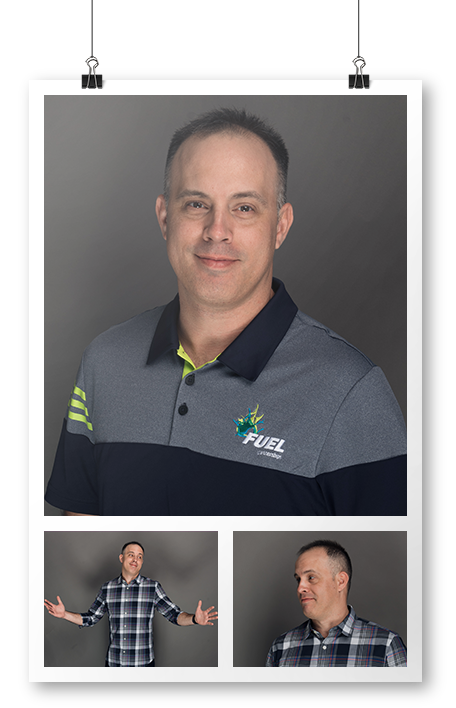 His passion for design and relentless drive to create FUEL’s not only his professional career but also his life. From client concepts to campaign launches, Ryan is there helping create need-based solutions, omni-channel solutions and any other crazy requests we may get. Not only does he push the creative bounds of traditional promotion to ensure deliverables are on brand and surpass client expectations, but he provides fresh ideas and innovated strategy’s that greatly benefit our client goals. Pushing the limits of design and technology to help create meaningful experiences while helping others along their journey is a true passion. Exploring the world with his family and enjoying unique experiences is a source of inspiration. Ryan enjoys the outdoors, camping, biking, snowboarding and playing sports. He love’s to contribute to products and services that help solve real-world problems. Have what it takes to work with FUEL? Cool! Send us your resumé to become part of our team.